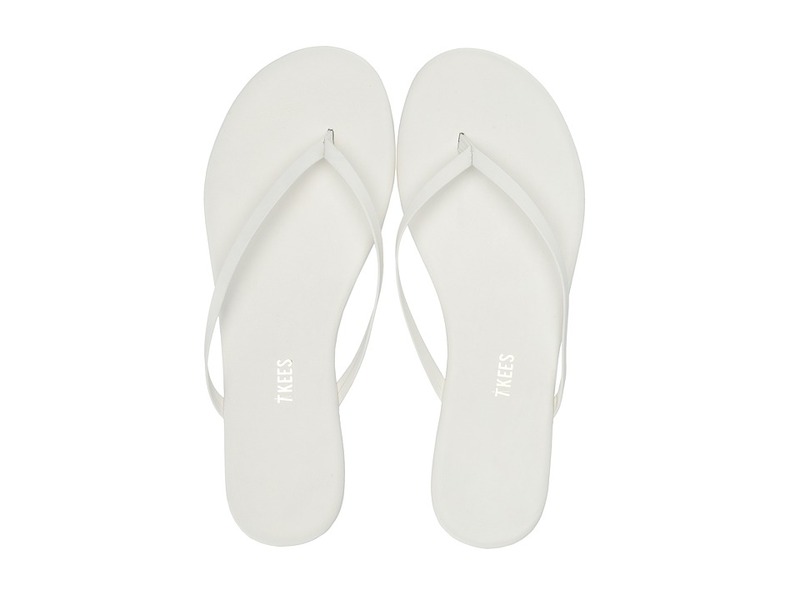 Complement your most dramatic eye-color shade with the TKEES Liners sandals. Part of the TKEES Lily Collection . Cowhide leather upper. Thong style construction. Interior logo size may vary. Cushioned leather footbed. Flexible rubber outsole. Made in Brazil. Measurements: Weight: 4 oz Product measurements were taken using size 9, width B - Medium. Please note that measurements may vary by size. Weight of footwear is based on a single item, not a pair. 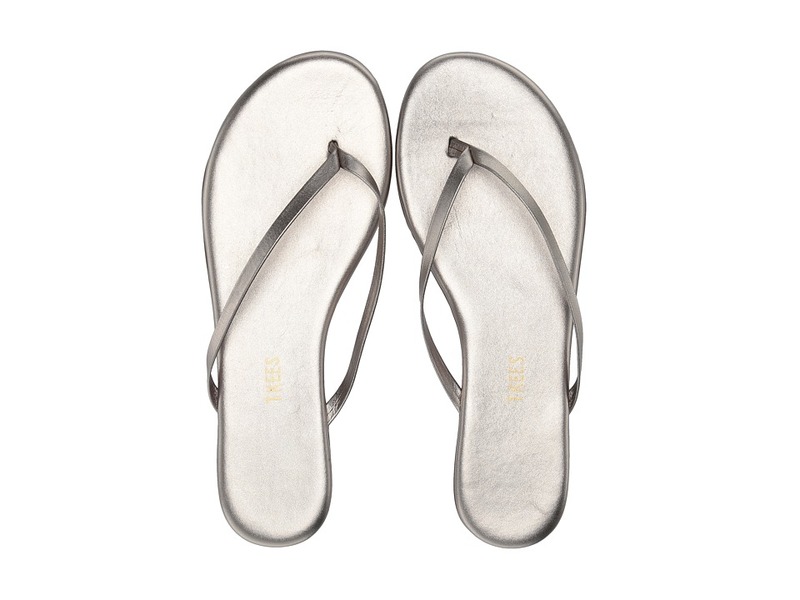 Dazzle and delight your senses with the comfy-chic TKEES Highlighter sandals. Part of the TKEES Lily Collection . Metallic-coated leather upper. Thong style construction. Interior logo size may vary. Cushioned leather footbed. Flexible rubber outsole. Made in Brazil. Measurements: Weight: 4 oz Product measurements were taken using size 9, width B - Medium. Please note that measurements may vary by size. Weight of footwear is based on a single item, not a pair. 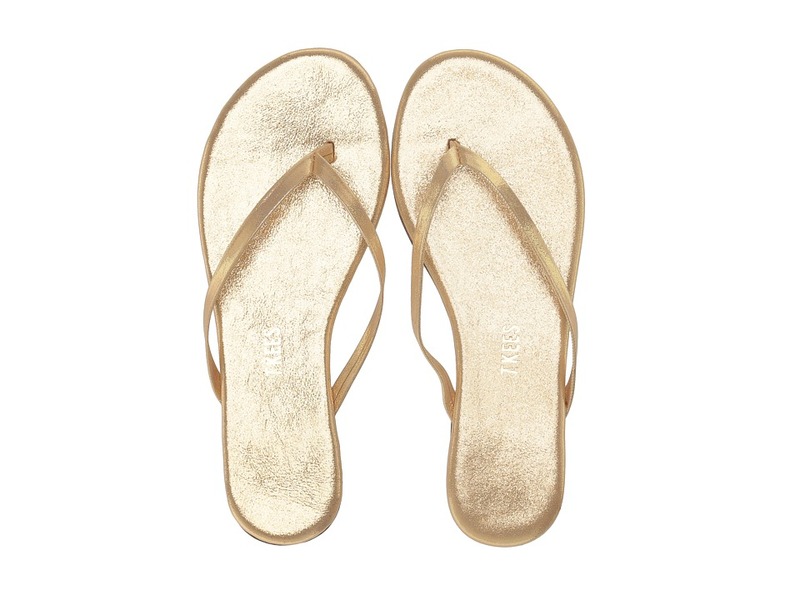 The luminous TKEES Shadows sandals will cast their spell on you. Part of the TKEES Lily Collection . Brushed-metallic coated leather upper. Thong style construction. Interior logo size may vary. Cushioned leather footbed. Flexible rubber outsole. Made in Brazil. Measurements: Weight: 4 oz Product measurements were taken using size 8, width B - Medium. Please note that measurements may vary by size. Weight of footwear is based on a single item, not a pair. 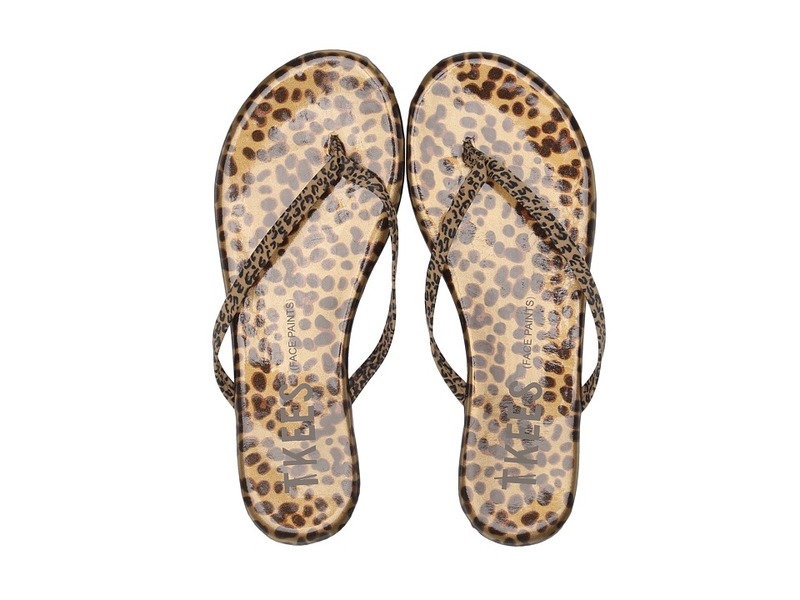 The TKEES Face Paints sandals flaunt ferociously flirty animal patterns. Part of the TKEES Lily Collection . Patterned leather upper. Thong style construction. Interior logo size may vary. Cushioned leather footbed. Flexible rubber outsole. Made in Brazil. Measurements: Weight: 4 oz Product measurements were taken using size 9, width B - Medium. Please note that measurements may vary by size. Weight of footwear is based on a single item, not a pair. 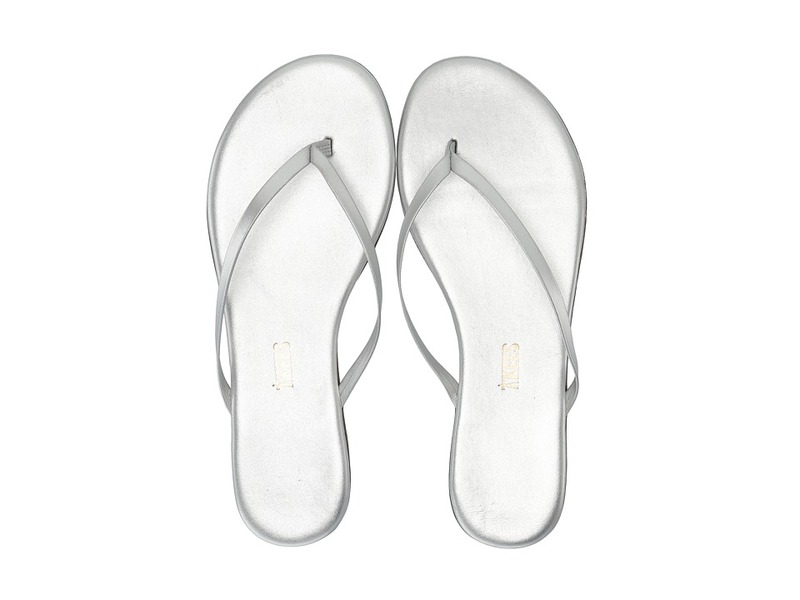 Take this basic, feminine flip flop from day to night, and anywhere in between in these chic French Tips sandals! Slick patent leather uppers. Thong style construction. Interior logo size may vary. Cushioned footbed. Rubber sole. Made in Brazil. Brand only offers whole sizes and suggests for 1/2 sizes to order the next size up. Measurements: Weight: 4 oz Product measurements were taken using size 8, width B - Medium. Please note that measurements may vary by size. Weight of footwear is based on a single item, not a pair. The TKEES Glitters sparkle and shine throughout the day. Part of the TKEES Lily Collection . Shimmering leather upper. Thong style construction. Interior signature logo size may vary. Cushioned leather footbed. Flexible rubber outsole. Made in Brazil. Measurements: Weight: 4 oz Product measurements were taken using size 9, width B - Medium. Please note that measurements may vary by size. Weight of footwear is based on a single item, not a pair. A tale of two colors makes this sandal~s story twice as nice relish in a double dose of glam when you step out in these Duos sandals! Dual tone metallic leather uppers. Thong-style construction. Interior logo size may vary. Cushioned patent footbed. Rubber sole. Made in Brazil. Brand only offers whole sizes and suggests for 1/2 sizes to order the next size up. Measurements: Weight: 4 oz Product measurements were taken using size 9, width B - Medium. Please note that measurements may vary by size. Weight of footwear is based on a single item, not a pair. Perfect for a day on the beach, these Glosses will take you from poolside to sidewalk in an effortlessly stylish snap! Glossy patent leather upper. Thong style construction. Interior logo size may vary. Cushioned footbed. Flexible synthetic sole. Made in Brazil. Brand only offers whole sizes and suggests for 1/2 sizes to order the next size up. Measurements: Heel Height: 1 2 in Weight: 4 oz Product measurements were taken using size 8, width B - Medium. Please note that measurements may vary by size. Weight of footwear is based on a single item, not a pair. TKEES Solids are dipped in juicy colors, fresh for your picking pleasure! Part of the TKEES Lily Collection . Cowhide leather upper. Thong style construction. Interior logo size may vary. Cushioned leather footbed. Flexible rubber outsole. Made in Brazil. Measurements: Weight: 5 oz Product measurements were taken using size 8, width B - Medium. Please note that measurements may vary by size. Weight of footwear is based on a single item, not a pair.